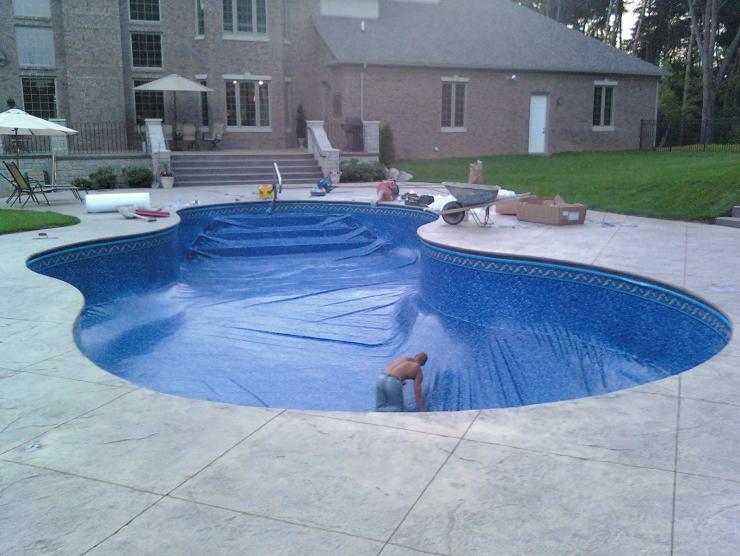 Free Form Vinyl Liner Swimming Pool. Textured Patio. Liner Installation with liner covered steps.